Alex R. Hernandez Jr. is a Corpus Christi business and commercial law and litigation attorney handling cases in Nueces County, Kleberg County, San Patricio County, Aransas County, Live Oak County, Jim Wells County, Brooks County, and other surrounding counties. Attorney Alex R. Hernandez Jr.’s team of legal professionals in Corpus Christi, located at 921 N. Chaparral, can help you with your business litigation matter and legal counsel. 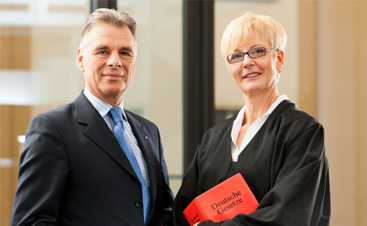 When business disputes arise, you need to have an experienced business lawyer on your side to help handle negotiation, arbitration, and litigation is needed. 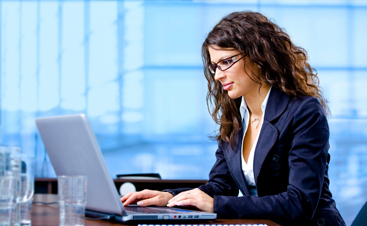 Whether you are experiencing an issue with a private individual or another business entity, we can handle it. Alex R. Hernandez Jr. has been regarded as one of the top Texas business litigation lawyers and is here to help handle your case. Breach of contract: Our breach of contract lawyer can help determine if a contract has been breached and work on behalf of your business to resolve complicated issues. Business formation: Setting up a business with a firm foundation and with the right legal structure (such as sole proprietorship or partnership, LLC, corporation, or nonprofit) will ensure a healthy legal start to your business and can help you avoid pitfalls down the road. We can advise you of the pros and cons of each entity choice, financial and tax issues that may concern your business, draw up contracts, and more. Business interference: If you are facing a business interference tort, a type of common law economic tort that occurs when one party interferes with contracts or relationships of a business with the intent of economic harm, our business attorney and team of legal professionals can help. Business operating agreements: Operating agreements are incredibly valuable when forming a business or adding partners to a business. They outline who legally owns what parts or what extent of a business, as well as capital contributions of each partner. It can also address the procedure for business loans, calling and calling meetings, and other duties and procedures and who is responsible for them. Our team can draw up these contracts and ensure there are no loose ends. Lender liability litigation issues: Our business law firm often handles lender liability claims when clients are faced with claims of violating the terms of a loan by the lender, the lender has taken over your assets or is prompting illegal foreclosure, is not releasing the loans, or the lender is otherwise acting out of their scope of legal rights. Shareholder and partnership disputes: If your business partner or a shareholder has a dispute with you, a business attorney can help resolve this matter whether contractual or non-contractual. Representation for business torts: Our business law firm works with a large range of business tort cases such as fraud, antitrust misconduct, embezzlement, financial misconduct, shareholder actions, contract disputes, unfair trade practices, contract interpretation, and more. 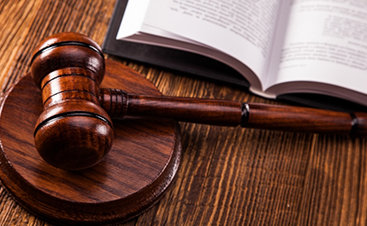 Get in touch with our business tort lawyer for legal assistance. Investment fraud: If you are dealing with a complex commercial investment or have suffered losses because of a fraudulent investment deal, of if you have been given financial advice by a financial advisor who turned out to be a scam, our business attorney can help. And more: We can also assist with matters involving SLAPP and anti-SLAPP cases, banking issues, business dissolution, and other legal issues that businesses face or need legal assistance with. Most business cases that we handle are breach of contract matters that could have been avoided with a document that we could have created to begin with, helping you to avoid costly dissolution, arguments over interpretation, division, and other business law matters that deal with everyday business matters both large or small. We handle large cases on a contingency fee basis and cover the costs of litigation up front, but we also have a mixed fee and mixed contingency fee agreements available. Business torts such as fraud, tortious interference, and conversion can often be contingency fee-based matters that we can handle. We have extensive knowledge of commercial, corporate and other business issues. Whether you own a small business or run a large corporation, no business matter is too small or large for our team to handle. When you need to litigate then you should call the team of legal experts at Alex R. Hernandez Jr PLLC., where he and his Corpus Christi business law office are ready to help. Corpus Christi Business Lawyer Alex R Hernandez Jr. Call today 1-888-HDZLAW-8. Representing business owners in transaction, real estate and litigation matters in San Antonio, Corpus Christi, Austin, Laredo, Houston, Victoria, Brownsville, and Edinburg/McAllen . Let us help limit your liability.